In recent times, the face of online journalism has changed significantly, but some of the more advanced internet users have found a way to face the ever-evolving wave of new media: the paraphrasing tool. There has been a huge fundamental shift in content creation with the emergence of spinbots and paraphrasing tools like Quillbot (https://quillbot.com) which can paraphrase a base article effortlessly. As many writers know, the trick to driving traffic is to show up in search results both first and often. The entire content strategy was based on this key insight-something called Search Engine optimization, or SEO. This entire process focuses on packing keywords relevant to one audience, continuously generating content and broadly matching output to appear best in Google’s search results. There is one core problem, however, that these bright journalists, bloggers and online content creators are constantly facing: how to create the shiploads of material that algorithm demands for the first spot? Writers can write so quickly while typists are limited to words per minute. Tools like Quillbot are forever changing the industry and their uses can have exorbitant effects on website profitability. What is Quillbot exactly and why does it enable content creators to optimize their search results? 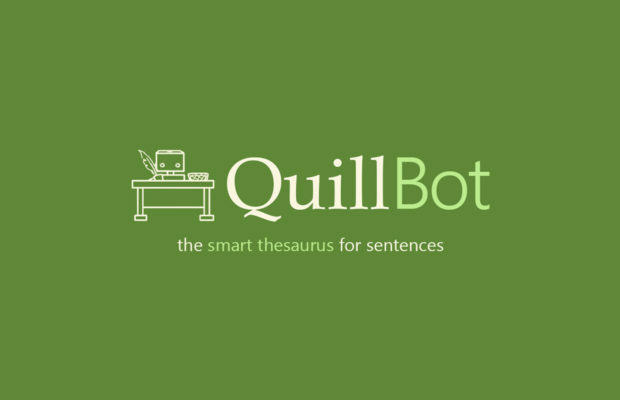 Quillbot is essentially ” a smart thesaurus for sentences “. It rewords and restructures sentences or paragraphs within seconds without losing the intended meaning. This simply means that writers and website proprietors can significantly reduce their work when creating content and taking on current trends. The more material, the better the search results will be for the site-and Quillbot makes it absurdly simple to create content. Unlike other rephrasing / article spinning websites, Quillbot will do what it claims. Based on a state-of – the-art artificial intelligence paraphraser, it preserves linguistic meaning, which is game – changing. Although one does not have to be an artificial intelligence expert once on they’re on the site. It’s clean, easy to use and even has a cartoon robot to help you along the way. If you’re really new to SEO optimization, you should jump on board. The system is that much cheaper than paying for ads like Google adwords and allows for organic and cost – effective results. Once you know the tricks, it becomes much easier to turn search engine users to readers and even to paying consumers. The first and most important step is to understand the keywords you need to use in your copy, content or blog. Next, you should produce content that maximizes the keywords, but not just anything will do. Include keywords in titles and the first 250 words to optimize web traffic. The content should be relevant to your audience and should also be somewhat lengthy. Search engines like Google and Bing prefer longer inputs and articles (think 1500 Word range). This ultimately comes down to one painful conclusion: to get that overall top spot, you ‘ll have to put some thought and effort. Search engine optimization is a skill like any other, but those who do it learn to work smarter rather than harder. A heavily contemplated, long article is great, but it proves labor intensive. The more time is spent writing single bits of content means your site produces fewer results. However, other competing sites may be producing content at a much faster rate meaning that they will appear higher in search results (i.e. You’re getting less traffic). To increase the amount of material you can produce, more seasoned SEO optimizers use a spinbot, paraphrasing tools, rewording tools, and rewriters such as QuillBot. What makes these tools so useful is their ability to reduce writing time (and effort). Some more advanced SEO optimizers use sites such as QuillBot as a SEO tool. For one site, a single article can be written and rewritten several times when sent through the software. These new versions are posted on other websites. Because keywords are optimized over a variety of platforms, you can trick search engines to give your message a bigger audience. The real key is to comprehend how these algorithms work and to adapt your messaging strategy to conform to their relevance. Once your strategy has been perfected, you will know quite immediately: you will see a dramatic spike in daily active users and general online content traffic. However, your work isn’t over at this point. SEO tools work best when they are monitored. Keep track of metrics and adjust your messages and strategies until you find your personal target. In a fiercely competitive, overly saturated industry, such as online journalism, it is necessary to take steps to stand out. Those who do, Aka companies such as buzzfeed, incur just about all of the benefit. It’s really a winner – take-all situation. In recent years, several techniques have emerged to drive traffic and attract the attention of the perceptive online reader-some far more irritating than others. Many have heard of clickbait: the infamous method of publishing articles, videos, and other contents with intriguing and unbelievable titles only to fall short (or worse-totally invalidate itself a sentence in). This method has seen a hit in recent times as it is a temporary solution-it drives internet users for a brief time, but ultimately cheapens the publisher’s brand and the legitimacy of their viewers. To their credit, Buzzfeed has mocked their notorious practice in articles denouncing Clickbait (I will allow the reader to reach his own conclusions). How does one possibly compete without using yellow-journalism? Without your readership being isolated? It’s simple. You start to negotiate with your distributor. For online journalists, your distributors go by the names Google and Bing. Only two things will boost your competitive edge: either you will have to spend major cash on advertising or you can manipulate elements of their algorithms. The first strategy is unlikely to prove cost effective unless you are a paid subscription site. Sure, users will be pushed towards the site, but the quantity won’t be substantial for the cost you’ll incur. You can grow your readership more organically by taking full advantage of oddities in search engines without spending much money on external advertisers. This is particularly sophisticated because Quillbot is able to comprehend and manipulate language better than any other web – based tool. It simply does not add-in synonyms, nor does it mix colloquialisms-a particularly significant characteristic of English. Once you fully see the potential, it is hard not to use it as a daily tool. This is made even easier by the handy Chrome extension. The media climate is dynamic, constantly changing. Writers, journalists and website owners should brace themselves to adapt and do so quickly rather than stand loyal against the changing environment or scarier try to analyse how it will change. The best industry insiders can do is stay up to date and remain competitive. In this day and age, SEO tools and paraphrasing bots aren’t oddities: they are necessary to remain important and relevant.